Yes, there is an official Grandparents Day! Did you know that? It is celebrated each year on the Sunday after Labor Day. In case you’re looking at your calendar…yes, that is today! No time to buy a card? No problem! 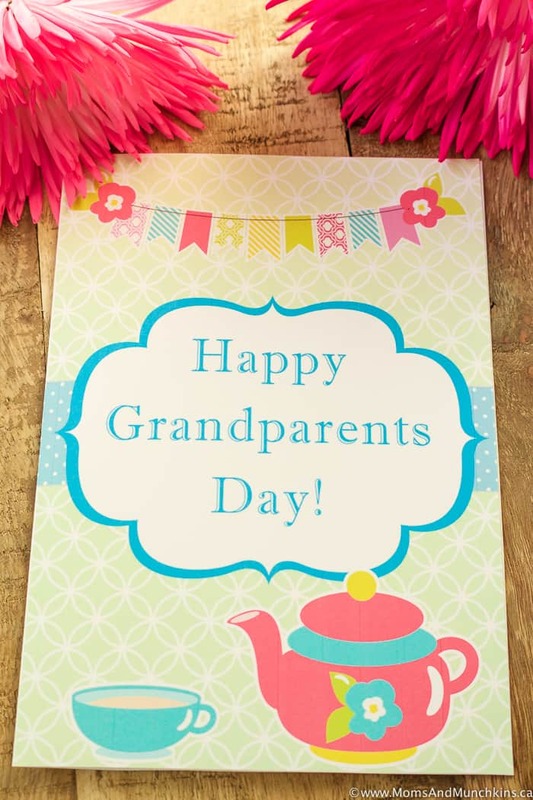 We have a free printable Grandparents Day card for you to print and give to the special grandparents in your life. Simply print this free printable card on heavy cardstock paper cut it out, fold it in half and have your kids draw pictures & sign their names inside the card. No time to mail the card? That’s okay – there’s always next year! A quick phone call or FaceTime chat with the grandparents is always a welcome surprise. I’m fortunate to have my parents living in the same neighborhood as my son and I. He gets to spend a lot of time with them and it’s great seeing the bond that they share. We often joke that my son prefers their home to mine because the rules are a lot more relaxed over there. Want to watch more cartoons? Sure! Want some candy before bed? Of course you can! Want to stay up late? Yep – come cuddle on the couch! Ha! I don’t mind at all. It makes my heart happy to see how close my son is with my parents. I wouldn’t want it any other way. My son is currently putting the final touches on his Happy Grandparents Day card so we’ll be taking a quick trip over to my parents house to drop it off. If you’re too late for this year, you can pin this or bookmark it for next year (better write it on your calendar now so you don’t forget). Stay updated on the latest party ideas & recipes by following us on Facebook, Instagram, Pinterest and Twitter.